Is Bitcoin causing global climate change? Well, a bunch of scientists thinks Bitcoin mining will cause a 2 Celsius increase in global temperatures over the next 20+ years. Lets be frank do we think Bitcoin will still be around in 20 years or will it become more popular driving global demand for Bitcoin which will use all the electricity we can create. Personally they sound like a bunch of alarmist as it will be hard to tell how much renewable energy we will be using in 20 years. The post Is Bitcoin Causing Global Climate Change? 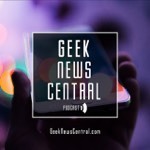 #1323 appeared first on Geek News Central.